According to Hoss Allen’s notes on the back of her rare De Luxe LP “Soul Fever” Marie was born in Archibald, Louisiana before moving to Ashtabula Ohio where she was brought up. Her first gig was at the Club Castaway in Geneva, OH in 1963, before moving to New York the next year and working with the great King Curtis. But it was meeting James Brown and becoming influenced by his work that was the real jumping off point for here recordings. 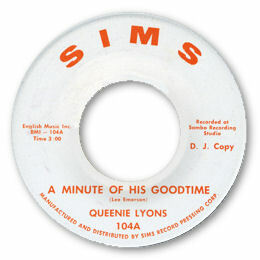 Her best release is her first 45, the great deep soul of A Minute Of His Goodtime for Russell Sims, recorded at the Sambo Studio in Louisville, KY. This classic and well arranged 12/8 ballad is a great showcase for Marie’s powerful and passionately rough vocals. The uptempo flip is strong southern soul as well. 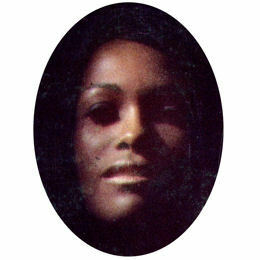 But she is best known to the funk fans for her De Luxe LP which includes such in demand items as “See And Don’t See” and “Your Thing Ain’t No Good Without My Thing”, all showing the JB connection. There were three 45s from the set but the covers of “Fever”, “Try Me” and “Drown In My Own Tears” were really a bit too predictable despite Marie’s tough approach. But to my taste Marie was at her best in the more melodic and soulful We’ll Cry Together which never appeared on a single but did allow her to reveal a more vulnerable side. 2. “See And Don’t See”, “Your Thing Ain’t No Good Without My Thing”, and “Fever” can be found on the BGP UK CD “King Funk” (CDBGPD 135).